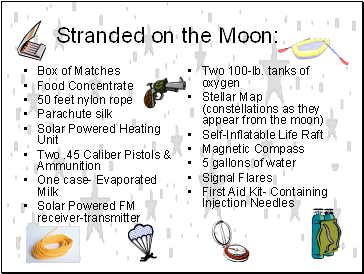 You are stranded on the Moon and you have 15 items to choose from. You must decided which ones are most important to take with you. 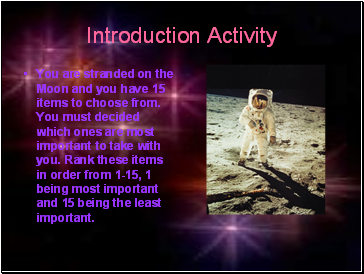 Rank these items in order from 1-15, 1 being most important and 15 being the least important. 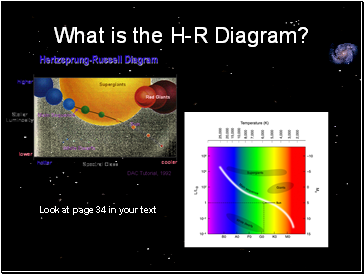 What is the H-R Diagram? 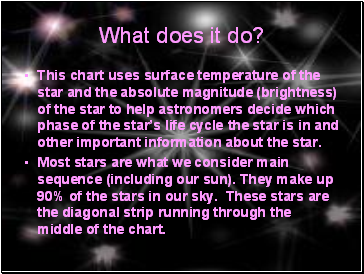 This chart uses surface temperature of the star and the absolute magnitude (brightness) of the star to help astronomers decide which phase of the star’s life cycle the star is in and other important information about the star. Most stars are what we consider main sequence (including our sun). They make up 90% of the stars in our sky. 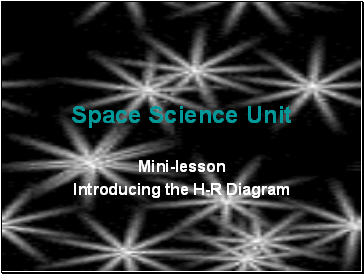 These stars are the diagonal strip running through the middle of the chart. 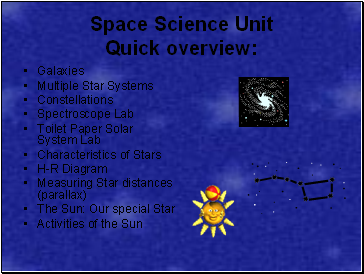 This diagram is the single most important that astronomers use today. 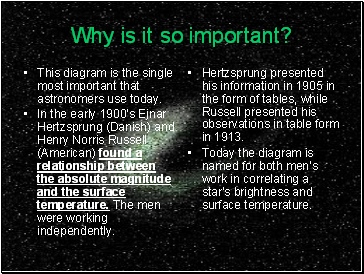 In the early 1900’s Ejnar Hertzsprung (Danish) and Henry Norris Russell (American) found a relationship between the absolute magnitude and the surface temperature. The men were working independently. Hertzsprung presented his information in 1905 in the form of tables, while Russell presented his observations in table form in 1913. 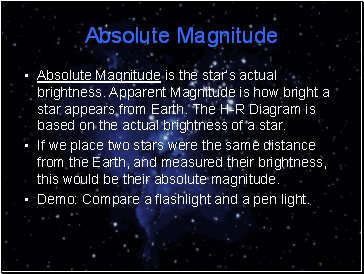 Today the diagram is named for both men’s work in correlating a star’s brightness and surface temperature.